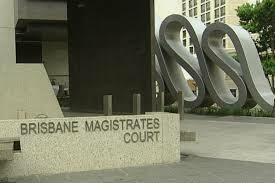 Both women were prosecuted and convicted of imposition at Ipswich Magistrates Court by Magistrate Roger Stark after cooperating with police and pleading guilty. Their lawyer, Erin Beer, requested a bond of good behaviour due to neither woman having a history of criminal activity or driving offences. The raid on a property in Godwin Beach resulted in police seizing commercial card printing machinery, blank cards, mobile phones and various forms of personal identification documents.